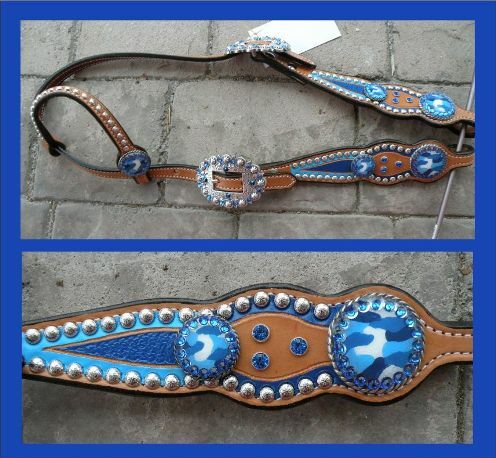 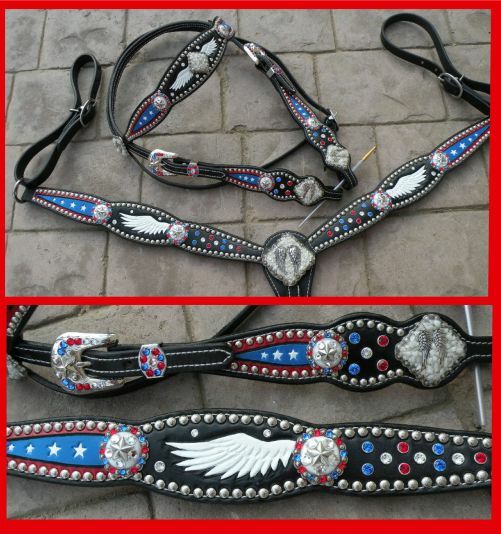 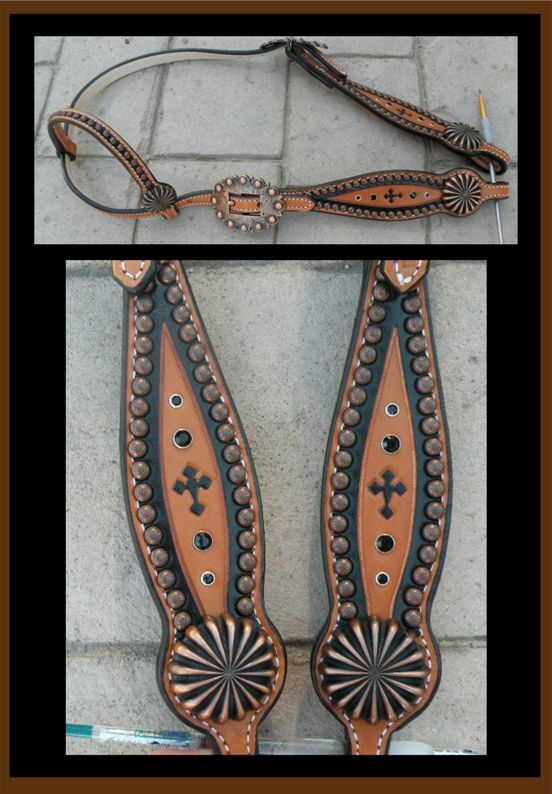 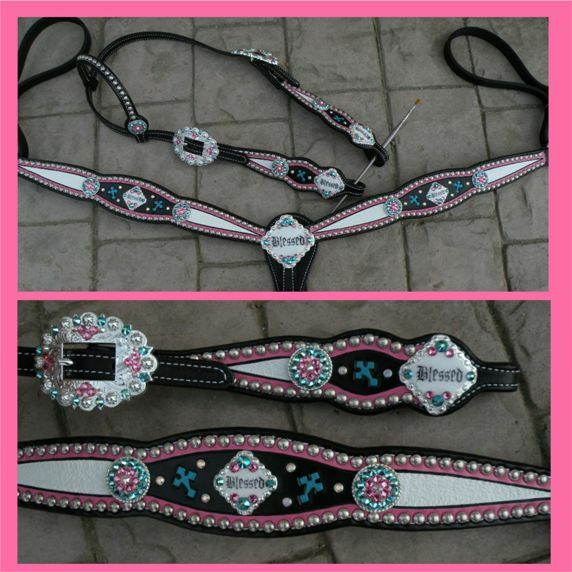 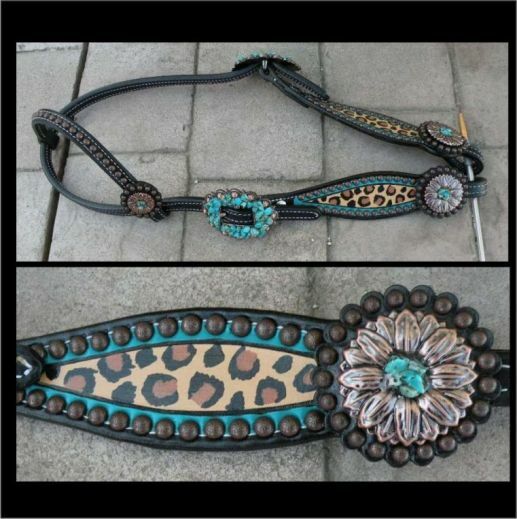 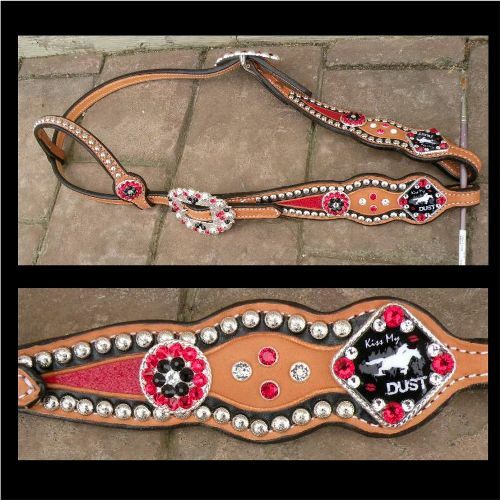 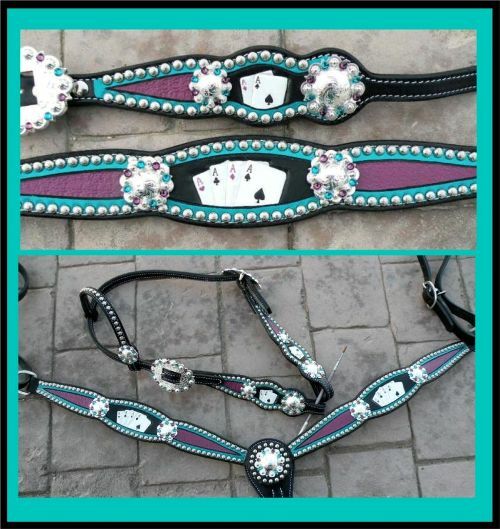 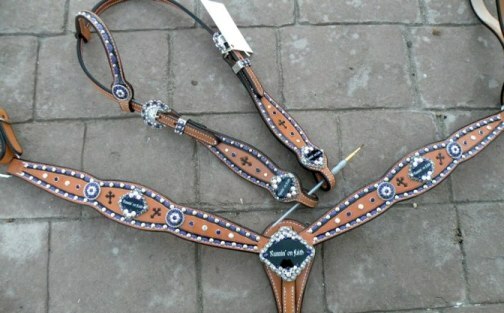 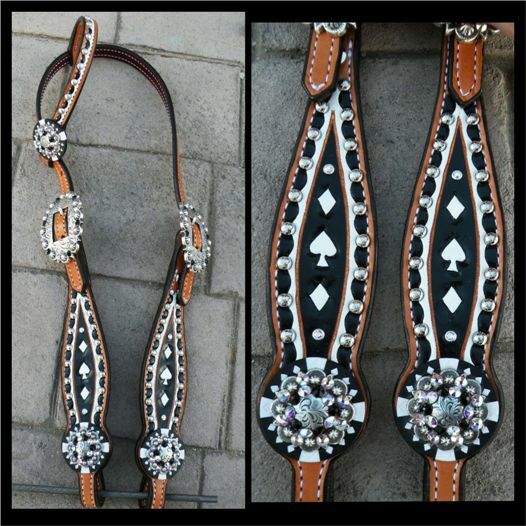 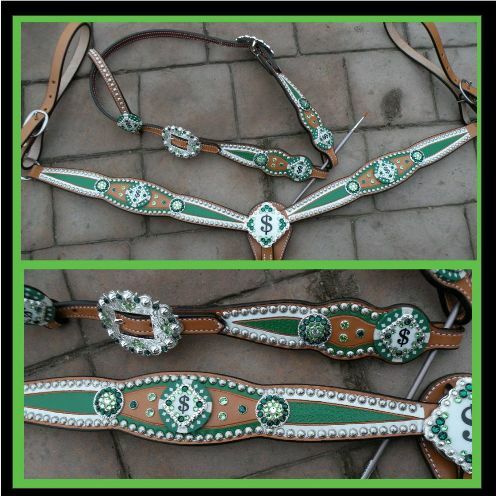 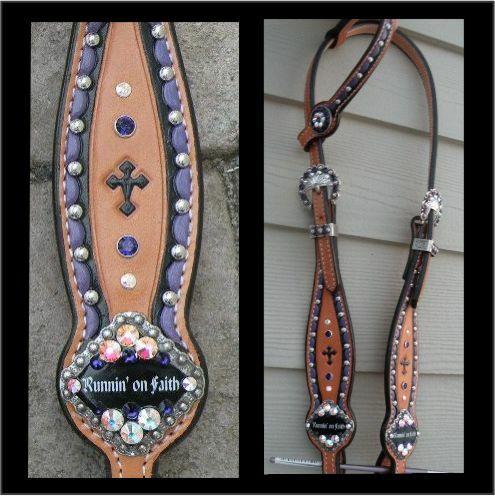 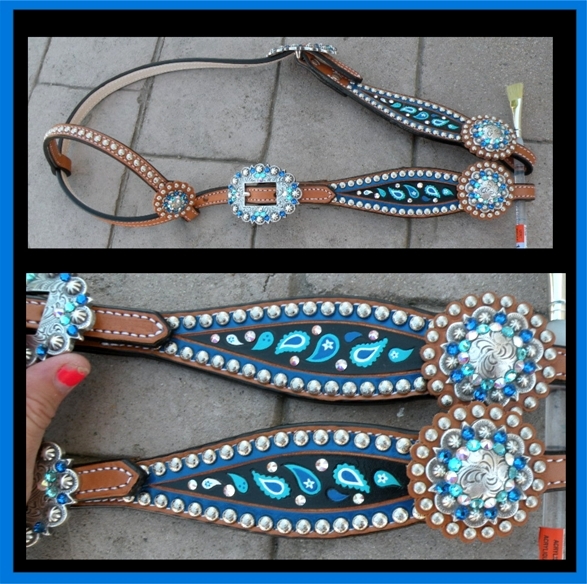 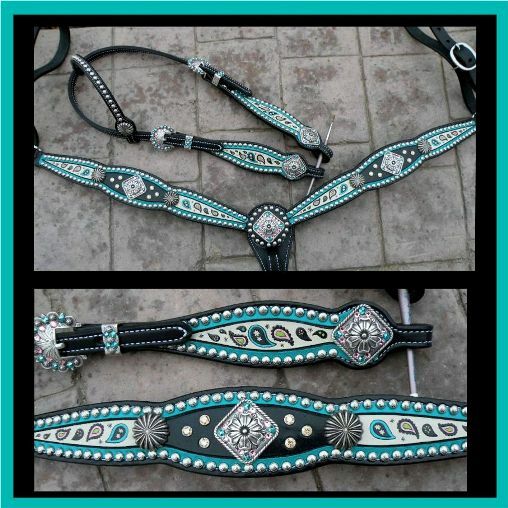 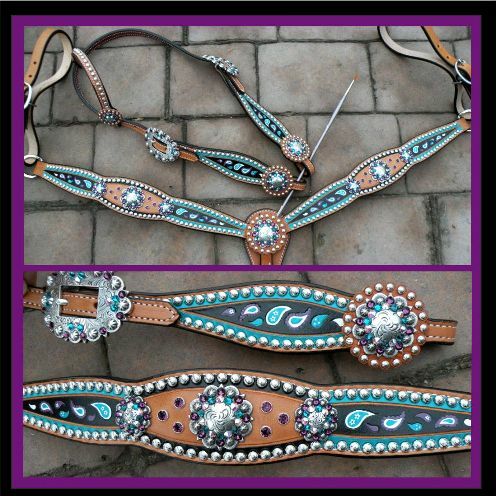 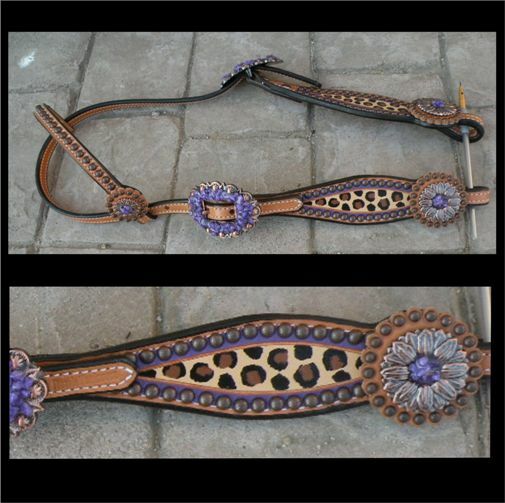 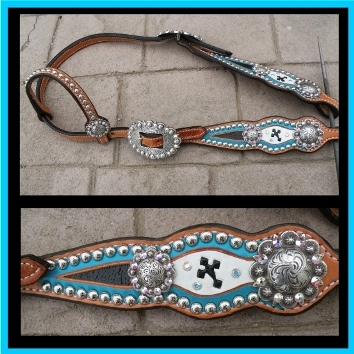 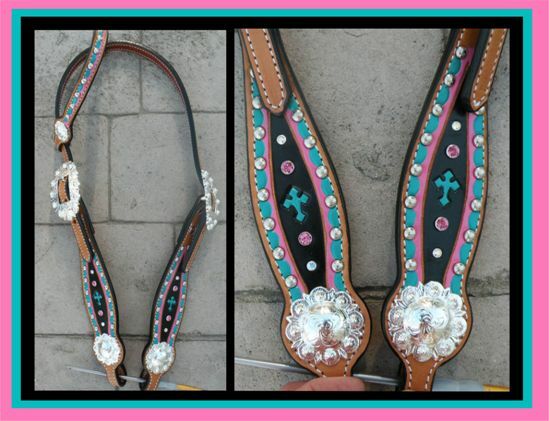 With just round bling conchos - Headstall $230 breastcollar $200. 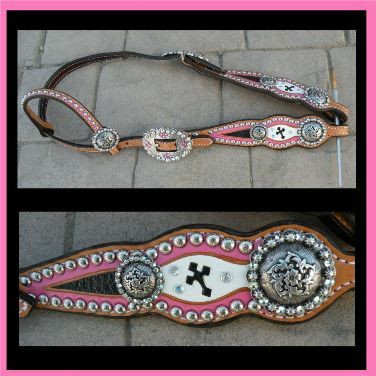 With image conchos add $6 per concho - $24 for the set. 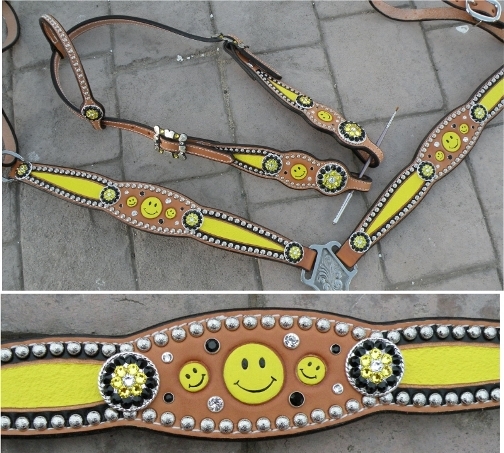 A $10 custom concho design fee may apply if graphics work is needed. 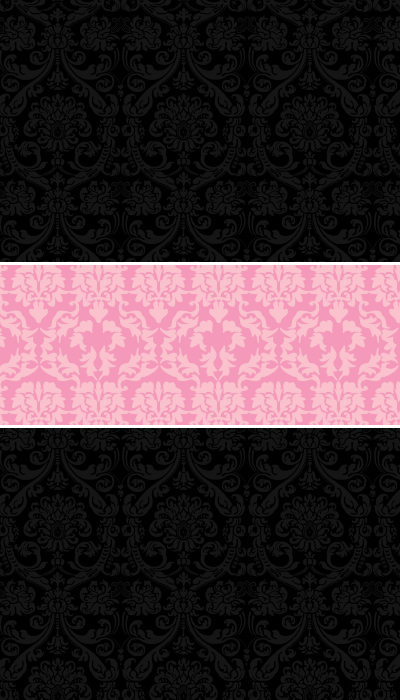 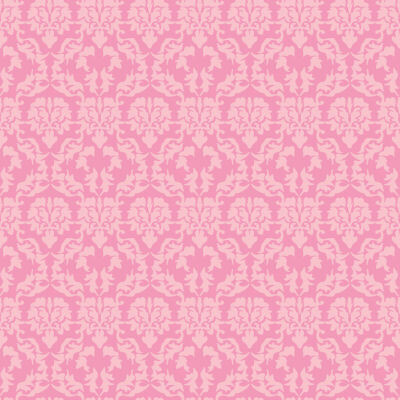 sample cheek with chain stamp.